Laurel and Taylor reside in London, England. Their fairytale story...In New York City an American lawyer falls in love with an English chef. They move to London and live happily ever after. So where do you get married when your family and friends are in two different countries? 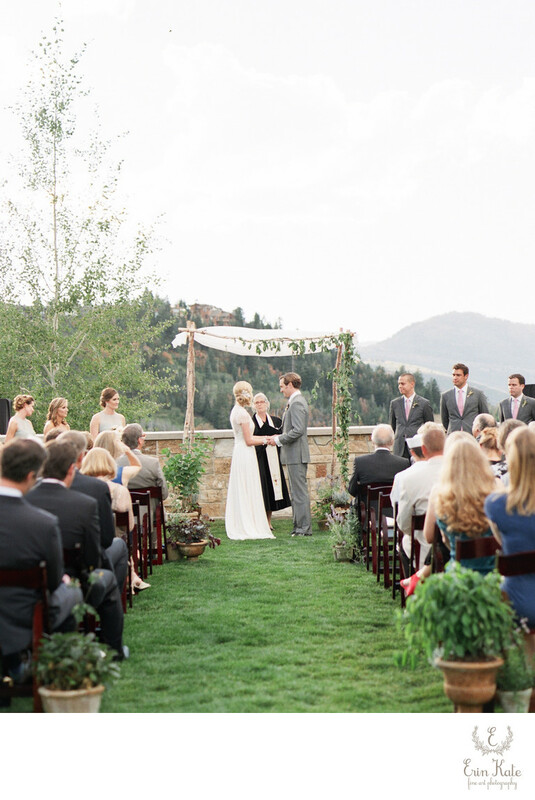 Laurel is from Utah so they chose to have their wedding at the St. Regis Deer Valley, one of the most amazing mountain retreats in Park City, Utah. The St. Regis Deer Valley is set in the Wasatch Mountains and is only accessible by private road or ski slope. It is cozy yet grand. Elegant formality set the tone for their celebration. 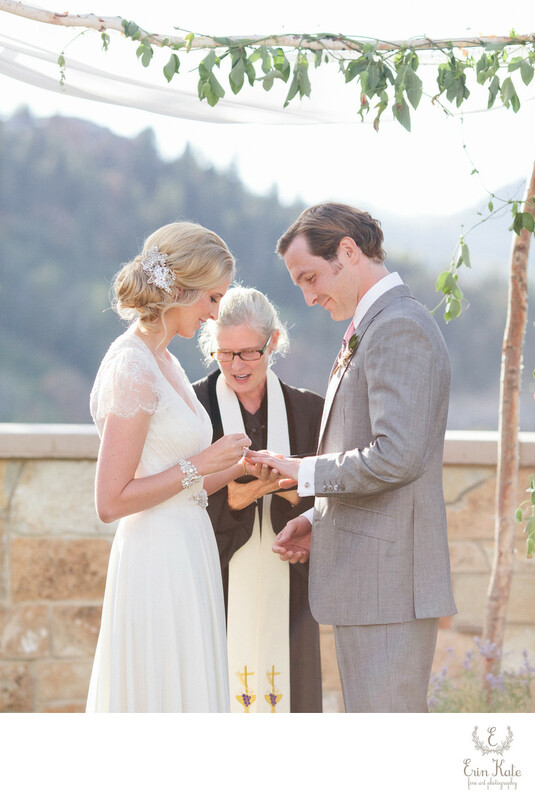 The bride wore a gorgeous gown by English designer Jenny Packham. The groom wore a custom gray suit by Salvatore Ferragamo. The lovely St. Regis Grand Lawn was the setting for their ceremony. It had a bit of an English garden feel to it. The chuppah was adorned with a lovely draping vine. Delicate plants and lavender in cement urns lined the aisle. The mismatched vessels created a feeling that the garden had been there for years. A hint to the groom's English heritage, maybe? 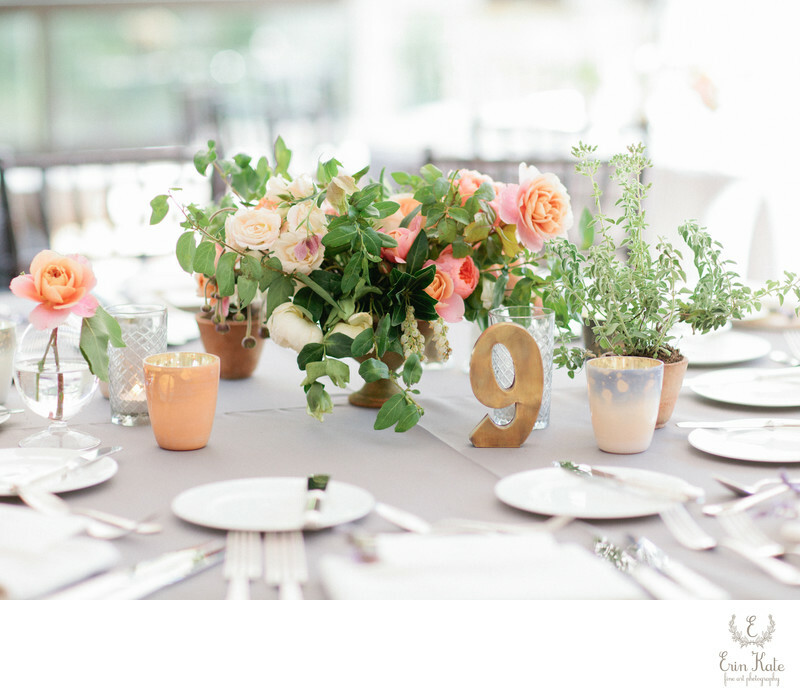 If you want an elegant affair even though you're getting married out west...soft floral design and texture may be all you need to add that delicate touch to your ceremony location.